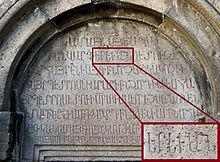 Yerevan (/jɛrəˈvɑːn/ YERR-ə-VAHN; Armenian: Երևան[a] [jɛɾɛˈvɑn] ( listen), sometimes spelled Erevan)[b] is the capital and largest city of Armenia as well as one of the world's oldest continuously inhabited cities. Situated along the Hrazdan River, Yerevan is the administrative, cultural, and industrial center of the country. 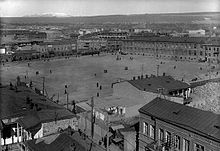 It has been the capital since 1918, the fourteenth in the history of Armenia and the seventh located in or around the Ararat plain. 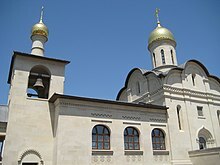 The city also serves as the seat of the Araratian Pontifical Diocese; the largest diocese of the Armenian Apostolic Church and one of the oldest dioceses in the world. With the growth of the Armenian economy, Yerevan has undergone major transformation. 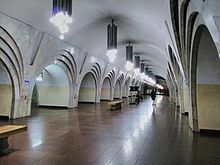 Much construction has been done throughout the city since the early 2000s, and retail outlets such as restaurants, shops, and street cafés, which were rare during Soviet times, have multiplied. 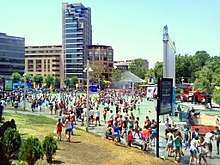 As of 2011[update], the population of Yerevan was 1,060,138, just over 35% of the Republic of Armenia's total population. According to the official estimate of 2016, the current population of the city is 1,073,700. 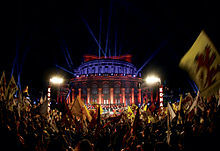 Yerevan was named the 2012 World Book Capital by UNESCO. 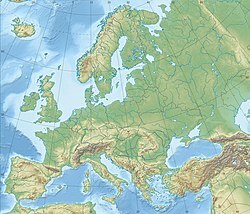 Yerevan is an associate member of Eurocities. 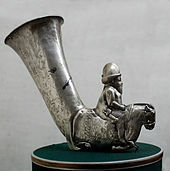 Yerevan was inhabited first by Armenians and remained homogeneous until the 15th century. 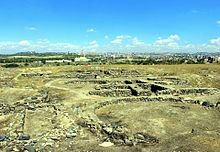 [better source needed] The population of the Erivan Fortress, founded in the 1580s, was mainly composed of Muslim soldiers, estimated two to three thousand. 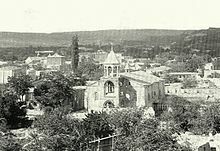 The city itself was mainly populated by Armenians. 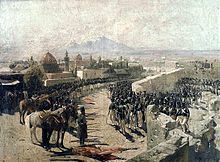 French traveler Jean-Baptiste Tavernier, who visited Yerevan possibly up to six times between 1631 and 1668, states that the city is exclusively populated by Armenians. 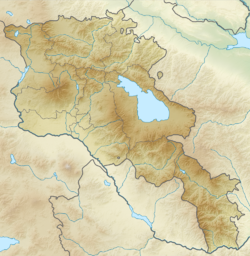 [better source needed] During the 1720s Ottoman–Persian War[clarification needed] its absolute majority were Armenians. 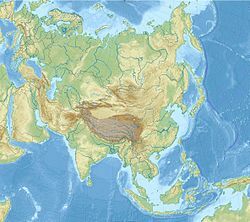 The demographics of the region changed because of a series of wars between the Ottoman Empire, Iran and Russia. 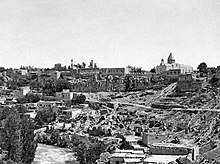 By the early 19th century, Yerevan had a Muslim majority. The Blue Mosque or "Gök Jami" (Azerbaijani), built between 1764 and 1768 at the centre of the city, is currently the only operating mosque in Armenia. As of 2013[update], the share of Yerevan in the annual total industrial product of Armenia is 41%. 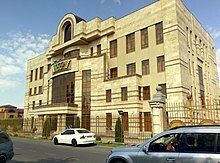 The industry of Yerevan is quite diversified including chemicals, primary metals and steel products, machinery, rubber products, plastics, rugs and carpets, textiles, clothing and footwear, jewellery, wood products and furniture, building materials and stone-processing, alcoholic beverages, mineral water, dairy product and processed food. Even though the economic crisis of the '90s ravaged the industry of the country, several factories remain always in service, notably in the petrochemical and the aluminium sectors. 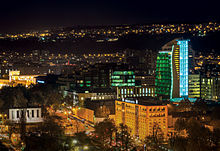 As an attractive outsourcing location for Western European, Russian and American multinationals, Yerevan headquarters many international companies. 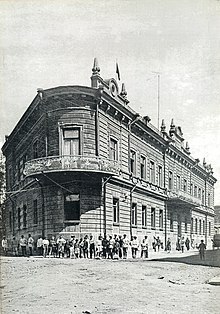 It is Armenia's financial hub, being home to the Central Bank of Armenia, the Armenian Stock Exchange (NASDAQ OMX Armenia), as well as the majority of the country's largest commercial banks. As of 2013[update], the city dominates over 85% of the annual total services in Armenia, as well as over 84% of the annual total retail trade. 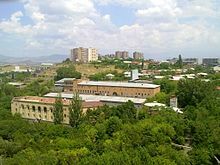 Yerevan is a major educational centre in the region. As of 2017[update], the city is home to more than 250 schools, of which about 210 are state-owned, with 3/4 of them run by the municipality and the rest run by the ministry of education. The rest of the schools (about 40) are privately owned. The municipality also runs 160 kindergartens throughout the city. As of 2018[update], around 60 higher education institutions are accredited and licensed to operate in the Republic of Armenia. 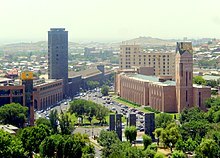 Yerevan is home to about 50 universities, nearly half of which are public. 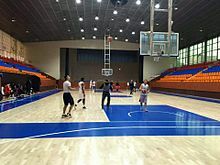 Yerevan State University, American University of Armenia, Russian-Armenian (Slavonic) University, Yerevan State Medical University and Armenian State Pedagogical University are the top rated universities of Armenia and among the top rated in the region. 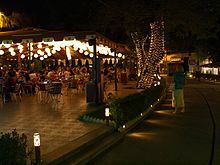 This page was last edited on 22 April 2019, at 13:51 (UTC).